This is the most talked-about book on the Blackjack scene. This book has sold more copies since it's initial release than any other gaming book. Prior to this new edition there was no foolproof way to learn how to play Blackjack accurately. This is the only Blackjack book that is easy to understand and completely accurate, written for the beginner or for the expert player. Playing Blackjack as a Business was written by a successful professional Blackjack player. The author has probably spent more time playing Blackjack, more time in the casinos, and more time in research, than have all of the others combined who have written Blackjack books or devised Blackjack systems. The book features a new Basic Strategy for one deck, the first accurate Strategy to be published for four decks, and four easy-to-learn Count Strategies including the Revere Point Count Strategy, which is the most accurate and most powerful strategy that has ever been published. The strategies were devised from computer runs by Julian H. Braun of IBM Corporation, long recognized as the world's most capable man in this field. 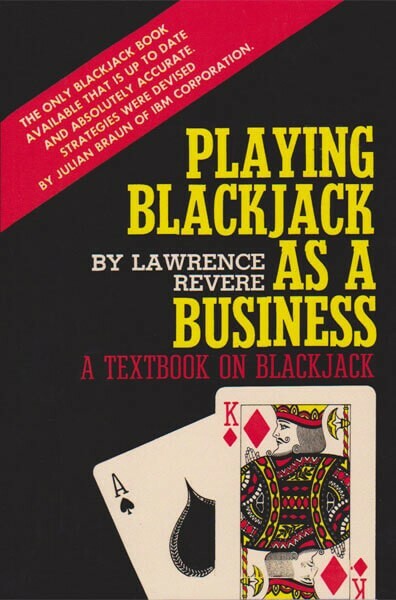 Easy to understand and completely accurate, this textbook on blackjack features strategies devised from computer runs by Julian H. Braun of IBM.